The first and most important aspect to consider is the colour of the room. Yes, the paint on the walls of the conferencing room can cause a great impact on view-ability. For instance, if the colour of the walls is white or too bright, it will probably cause a lot of glare unnecessarily. This could cause the eyes of the people on the other end to get strained. If, however, the colour is too dark, then the people at the foreground will not appear distinct. This again will act as an impediment. So, what is the solution? The solution is to choose a room that has light coloured walls in pale tones. Such paint will not just highlight the subjects in the foreground but will also go easy on the eyes. And it’s not just the colour of the walls that matters, the finish of the paint could also have tremendous impact on your conference. 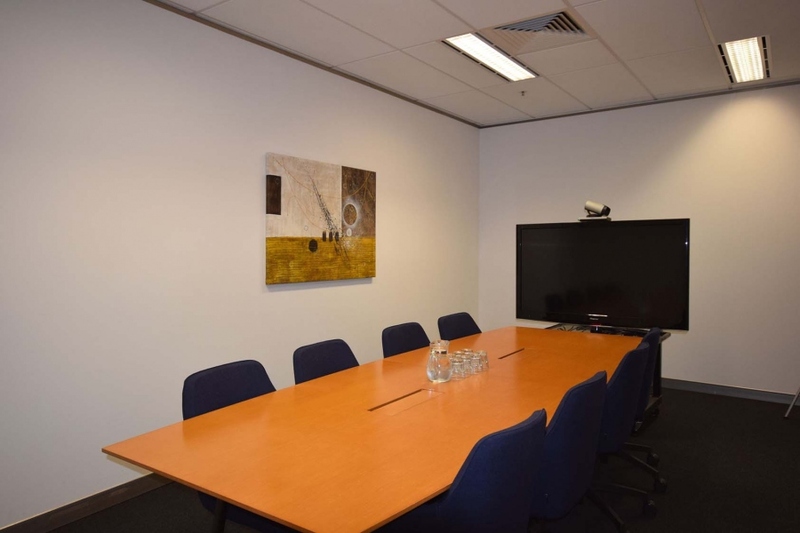 You will find a lot of conference rooms with enamelled walls. Such walls have a glossy finish. Anything that is glossy reflects light, which is not conducive for a video conferencing environment. Matte finish is what you need for zero light reflection. If the wallpaper on the wall is patterned, make sure it is not checks or swirls, as they strain the eyes of the other person. It’s not mandatory to not have decorative items on the walls of the video conferencing room. But even if there are such items, they should not have a shiny surface. And that is why it’s not advisable that you choose a room where the background has mirrored decorative pieces. They reflect light and cause a lot of problems. The room should be adequately lit. Remember, although it seems like the people on the other end are seated close to you, they are actually too far away. And they may not be able to see you properly if there is not sufficient lighting in the room. Now, is there equipment present in the room that you might need to materialise the video conference successfully? If yes, you are good to go. If not, look for some other room. Now, that you know how to choose a good video conferencing room, there is no reason why you would end up making a mistake in this regard. Next : Don’t Mess Up Things, Just Get Your Drains Checked!